« How Much Do You Charge for Web Dev/Design Services? Small Biz Trends released “5 Website Resolutions to Put on Your List for 2012,” by my friend, Shashi Bellamkonda, with some great ideas on what needs to be on your New Year’s resolution list for your business this year for building content, web communications, community building, and embracing and integrating technology. I’d like to add some more ideas to his list as relates to blogging and WordPress. Here are a few things you might want to strongly consider adding to your WordPress To Do List this year to help keep you on track and updated, but also to make your life easier with managing your WordPress site. Some of these may take a lot of time the first time you go to check them off your list, but make them regularly scheduled appointments, and the workload and time drops tremendously. Update EVERYTHING: WordPress makes it easier than ever to quickly update your WordPress Plugins and Themes. So why haven’t you? For the most part, most worries about compatibility issues are gone if you stay on top of these. Commit this year to updating either when you see a notification or put it on your schedule for once a month checks (there might not be anything so what does it hurt to check) so you stay updated and not overwhelmed when you finally need to do something about them. Commit to help WordPress improve: Every minute someone stumbles upon an issue with WordPress, WordPress Plugins, or Themes. Do you report it? Do you do anything about it? Usually not. Why not make a mental note that next time something happens you search to see if it has been reported or someone has a solution. 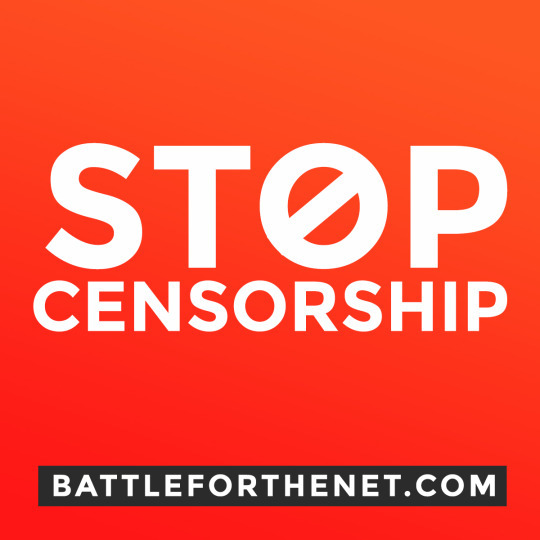 If not, then go to the source and report it. That source could be in the WordPress Support Forums, WordPress.com Forums, bug reporter for WordPress, or directly to the WordPress Plugin or Theme author. The more we all pitch in to help WordPress improve, the better all of WordPress will be. Clean Out the Unused Stuff: Check your WordPress Plugins list for inactive WordPress Plugins or one that you really aren’t using any more. We all have them. Why not clean out a little of the bloat and remove them. Same with Themes. We all download and test a dozen or more Themes before we find the right fix. Remove the ones you didn’t want. Update Also Means Check Expiration Dates: The milk carton looks fine if you don’t pay attention to the expiration date or open it up and sniff. The same applies to WordPress Plugins and Themes you’ve been using for several years. If they haven’t been updated to include update notifications in the WordPress Administration Panels, how would you know it’s been updated or support has continued? You don’t know. You have to check manually unless you are familiar with the history of the Plugin. From the Plugins Panel, note the Version Number of the Plugin and click “Visit plugin site.” If there is a newer version, update it. If the author states they’ve discontinued work and support on the Plugin, it’s time to find a replacement. Hopefully WordPress will make this easier in the future or provide links directly to the WordPress Plugin Directory to verify activity and issues. Time to Replace the Old? : While there are still WordPress Plugins and Themes that do what none other can do, there are dozens of contact form, subscription, related posts, etc., Plugins and Themes with similar customization. Is the one you are using the “best” for the tasks that you ask of it? Maybe it’s time to do a little checking around and see if there is another with more features you might need. Maybe not, but add it to your list to do a little checking this year. You could be missing out on something special. Speed Up Your WordPress Experience: When I discover a Plugin, Theme function, or feature that will really speed up your WordPress experience I share it, but are you really taking advantage of all the ways you can make your WordPress experience easier and faster? If you have a smartphone, get one of the many WordPress Mobile Apps so you can post faster on the go or when an idea strikes you (or you need to check comments, etc., faster). On my self-hosted versions of WordPress, I can’t function any more without File Gallery WordPress Plugin by Bruno “Aesqe” Babic which allows fast embedding of images into my posts. I dream of something like that coming to WordPress.com or put into the core. Many can’t live without Subscribe to Comments which makes it easier for commenters to track comments from your blog. 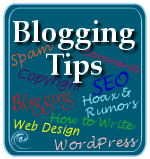 Follow the bloggers offering tips on how to blog more efficiently with WordPress and follow their lead. Lifehacker and Smashing Magazine’s WordPress column often have great tips. Track the Planets of WordPress: Whether for your feed reader or through your smartphone or table with Google Currents, make sure you include WordPress, Planet WordPress by Ozh, and Alltop – Top WordPress News to keep up with the latest news about WordPress. WordPress Planet is what used to come into your WordPress Dashboard Panel by default. Now it’s optional. It features the key leaders involved with WordPress. 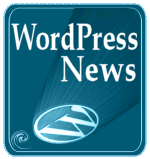 Planet WordPress by Ozh expands upon that core list to feature a wide range of WordPress experts, gurus, and innovators. Guy Kawasaki’s Alltop’s roundup of WordPress resources is excellent for quickly tracking the hottest topics in WordPress. There are more, but these three are my top sources for WordPress news. Give Back a Little: Most of us learned how to use WordPress from others. If you are desperate for help, you head to the WordPress Support Forums or WordPress.com Forums or the WordPress Codex for help, right? Why not make a commitment this year to spend a little time in the forums or working with the documentations team to help others. And that Plugin or Theme you depend upon? Why not offer them a donation to help them keep their bills paid and keep their enthusiasm alive. Nobody is going to grow your blog for you. You need to take responsibility for it and be intentional about doing the things that will grow it. If you’re reading this blog you probably know the thrill of posting and getting feedback is addictive, and once you have a taste of that it’s hard to go back. You rode a bike before you drove a car, and both opened up your horizons in a way you hadn’t imagined before. That’s why blogging just won’t quit no matter how many times it’s declared dead. Blogging (with WordPress) is the natural evolution of the lighter publishing methods — at some point you’ll have more to say than fits in 140 characters, is too important to put in Facebook’s generic chrome, or you’ve matured to the point you want more flexibility and control around your words and ideas. There will always be a need for a place to say more than a tweet or status. 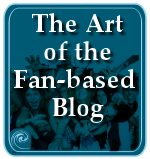 You need a place to ramble, rant, and rave, so come back to your blog to deepen the conversation. One of My Favorite Questions to Ask: I personally hate the “What do you do” question. I love “Why do you do what you do?” or “How do you do what you do?” questions. Consider tackling some of those on your blog. Behind the Scenes: In addition to understanding how you do what you do, why not take us behind the scenes so we better understand the various tasks, decisions, and get a glimpse of your life behind the web wall. Jane Wells of the WordPress Foundation gave us all a glimpse of a typical 24 hour period in her life packed with all the things she has to do with her life and work. Why not share a day in the life or a moment in your life so we get a better understanding of the bigger picture that is you. Update Who You Are: You may have kept your Facebook and LinkedIn profile pages updated, but what about your About Page? Join me in my Prove It Campaign this year to update your About page and bio and make improvements throughout your site to improve how you showcase yourself and what you do. Sell Less Make More: A business friend of mine said that her new motto was “sell less make more.” It sounded like a dichotomy until she reminded me of one of my mottoes: Make them come to you, don’t chase after them. If you focus totally on the sales pitch, you come off as desperate and begging. Anticipate the initial boost in sales fading quickly. If you concentrate on building a reputation and community around your work, sales over the long haul will be better and last longer, and your community will do much of the work for you when it comes to “selling.” Take another look at how you promote your work or products and see how you can use your blog and social media to sell less and make more. Where are You Driving Customers? : The focus right now in the industry is to drive customers to Facebook. Great, if your customers are there, but that’s not the point. What happens once they arrive on Facebook? If you are living for a Like, think otherwise. Move them from your Facebook pages to your site so they can experience the full you. Bring them home to where ALL the content and experience is you and your business. Same applies to all your social media micro-blogging. You want their route through the social web to end up on your site, so bring them home, and make sure you’ve cleaned the house before you welcome guests. Tell the Why: It isn’t just a matter of telling the what, add more to the conversation by telling the why. I often think the “why” is more important that the what. It helps me make my decisions by understanding yours. Show us the why. Bring Conversation Back to Your Blog: Too many of us are spreading the conversations around our social networks and forgetting that some of the best conversations happen at home with friends. Write blog posts that inspire conversations and use the social web to invite them to join you in your living room. Bring Back Laughter: We’ve all gotten too serious with ourselves. Once in a while, make a point of funding the finny. Yes, I wrote that write. We all need a giggle once in a while, for our own health. We also love sharing the funny, so do something spontaneous, silly, and bring some fun back to your blog. Even the workplace doesn’t have to be all serious all the time. Show us you have a funny bone and you know how to use it. Risk a Little: When Liz Strauss nagged me to bring my sick and twisted sense of humor to Lorelle on WordPress to help people get a glimpse of the person behind the blog, I was terrified. She made it fun for me, as did my husband who held my hand through the process (seriously – it was that scary for me), and we all were there for the release of “10 Really Rad Righteous Blogging Tips” by my “alter-evil” Lorraine (Liz named her). A little thing to others, it was a huge turning point for me with “Lorelle on WordPress.” After years of writing in second person (on purpose), I was coming out from behind the curtain. The next three years were my biggest in over twenty years of blogging and web publishing because of that small first step risk with my blog. What risks can you take with your blog and its content? That’s up to you, but look around for those tiny risk steps you can take that might spice things up or turn them on their head. For me, Lorraine made a second appearance on Liz’s blog to great response, which occasionally makes me want to bring her out of her box more often. Clean House: I’m as guilty as the rest of you with out-of-date and funky information and stuff in my sidebar. 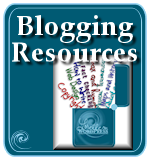 Make a commitment to clean up the clutter and clean house so your blog is a fun place to visit and play. Update Avatars and Gravatars: Did you know that if you register with WordPress.com or Gravatar, when you comment on a WordPress blog anywhere in the world, the odds are likely your Gravatar image will appear. We fuss a lot over our avatar images on Facebook, Twitter, and Google+, but when was the last time you updated your Gravatar? Hmmm? Create a Draft in Your Drafts: I just glanced at my draft list for this site. I have 55 Drafts haunting me. My goal this year is to get that number to zero. Maybe it’s a good one for you. Go through your blog to-do lists of post content and ideas and start cracking on them. Got a bunch of obsolete ideas and can’t find a way to make them work? Delete them. Don’t let them drain your energy. 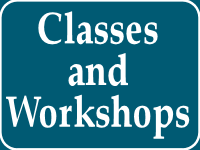 Get Detail Oriented This Year: To quote Eddie Izzard, “It’s always the smallest thing that f*** things up.” Make this year the year you put on your magnifying classes and pay close attention to all the details on your blog and fix them. My laundry list is long. Fix dead links, kill off dead pages (removed over 100 this past year! WOOHOOO! ), update most popular posts, add tags to posts lacking, clean up categories to be more coherent and specific, fix spellings previously missed, check bylines to ensure they are visible and linking to an author page and not something else, clean up post titles so they are more keyword and reader friendly, update badges and repeated graphics and icons… You have your own list so start paying attention and checking them off. You never know when the smallest detail will make the biggest difference in your blog – and in your life. Blog Better: I’m finding a lot of experienced bloggers still don’t know how to write a blog post correctly. It’s not just writing a blog post to meet web standards but to write one that helps readers read your blog. I’ll be doing a series of posts on this, and to get you started, read The 10 HTML Tags You Must Know to Blog. Commit to blogging better with just a few improvements to your post structure and formats. What’s Unsaid? : We all have those things we wish we’d said but didn’t, or wished we’d blogged. They are often not written down, so write them down and start blogging them. Leave nothing unfinished if it was meant to be finished in your life. 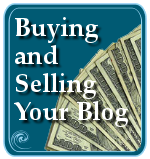 Remember, a blog isn’t just a website stuffed with promotional material. It’s also your legacy. Leave a good one. This entry was written by Lorelle VanFossen and posted on January 11, 2012 at 2:09 pm and filed under Blogging, blogging tips, WordPress, WordPress News, WordPress Plugins, WordPress Themes, WordPress Tips, Writing with tags blogging resolutions, how to blog, how to use wordpress, new year, new years resolution, resolution, wordpress, wordpress help, wordpress how to, WordPress News, wordpress resolutions, WordPress Themes, WordPress Tips, wordpress tutorials. Bookmark the permalink. Follow any comments here with the RSS feed for this post. Post a comment or leave a trackback: Trackback URL. After reading the above, I feel depressed. It looks as if I have at least a month’s work ahead of me and that will interfere with my other to-do things. Now I have to integrate your list with my list and put in order of priority. So many decisions to make makes me feel very depressed. Nevertheless I appreciate your good intentions. However remember the road to hell ….. Even worse – in the middle of writing this answer my whole computer decided to shut down. I think it quite unfair of you to put in a secret instruction of this nature!! My second – encourage her to keep on nagging – sorry – encouraging us all to do better. My third – spend less time with Lorelle – and more time with my wife. NO! I have changed my mind my wife also “encourages” me. Lorelle, you’re on a roll. Love what you’re sharing. Helpful. Inspiring. Intelligent. Thanks you. Great post Lorelle, inspired to get cracking now. Thanks for the ‘file gallery’ mention too, look’s promising.